Appeal against $290k award for sci-fi writer's copyright infringement delayed | Russian Legal Information Agency (RAPSI). MOSCOW, April 26 - RAPSI. The Moscow District Federal Commercial Court has shelved for an unlimited period its hearing of the Astrel publishing house's appeal against the $290,000 award in favor of the Terra publishing house for illegally publishing the late sci-fi writer Alexander Belyayev's novels. The Ninth Commercial Court of Appeals held against Astrel, a part of the AST group, on January 31 and awarded the plaintiff 8.5 million rubles ($290,000) instead of the 551.5 million rubles ($19 million) initially claimed by Terra. Terra filed the lawsuit in August 2009. It claimed the exclusive rights to his novels. Meanwhile, Astrel believed the copyright protection term had expired and it had legally published the novels. The plaintiff sought damages amounting to double the book price for each unlawfully printed book. The claims apply to works published by Astrel in 2008. The compensation amount was calculated on the basis of the cost of the six volume set of Belyayev's novels. However, the court dismissed these calculations and thereby ruled that the plaintiff failed to prove the claimed compensation. Both the plaintiff and the defendant challenged the ruling. AST was established in 1990. 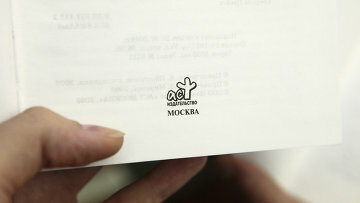 It is one of the largest publishing company in Russia. It occupies a 20 percent share of the book market, according to its website. AST publishes over 800 new books monthly. 14:20 26/04/2012 The Moscow District Federal Commercial Court has shelved for an unlimited period its hearing of the Astrel publishing house's appeal against the $290,000 award in favor of the Terra publishing house for illegally publishing the late sci-fi writer Alexander Belyayev's novels.